After 20 years of peace and progress towards democratization, armed violence between the Frelimo government and Renamo resumed in 2013. Like on previous occasions, the long-time leader of Renamo, Afonso Dhlakama, asked for greater decentralization of power, the integration of its fighters into the police, and access to the spoils of the country’s economic growth and natural resources. A peace deal led to general elections in October 2014, which were won by Frelimo and its presidential candidate Filipe Nyusi. However, armed conflict flared up again as Dhlakama refused to accept the results and threatened to use force to take the provinces, where he allegedly won a majority of the votes. Eventually, peace negotiations resumed, this time conducted directly by Nyusi and Dhlakama. The agreement reached in February 2018 included new measures for greater political decentralization and established a new system for the election of mayors and provincial governors. So now the person heading the wining list1 in the municipal and provincial elections is elected mayor and provincial governor, respectively. This means that voters lose the right to directly elect mayors, a rule in place since the creation of municipalities in 1997. Still, the election of governors is something new and a democratic advancement. These changes will come into force following the unanimous approval of the constitutional amendments by all the three legislative benches of the Mozambican Parliament on May 23. The agreement says a lot about the influence of presidential powers and political leadership during the tensions between Renamo and the the governing Frelimo party, and between Dhlakama and the President. Nevertheless, the unexpected death of Dhlakama on May 3 may be a game changer in the negotiation process and shift the balance of power. Shortly after being inaugurated the President of Mozambique in 2015, Nyusi faced important challenges with the resumption of the armed conflict. It was amid some internal pressure that Nyusi used his presidential powers to reach out to Renamo for further dialogue.2 In highly publicized moves, Nyusi kept the negotiations going with direct telephone contacts and eventually by travelling to the Renamo leader’s headquarters in Gorongosa in an attempt to thrash out some difficult issues in the negotiations. Dhlakama, the historically uncontested leader of his party since it was a guerrilla movement in the late 1970s, also claimed he could keep the party’s radicals in check. In his view, this control over the party had also made it easier to move towards peace, stability and the most recent agreement with Nyusi. The agreement announced in February 2018, as well as the decentralization package and the proposed constitutional revision, was presented as a result of a broad consensus and as a step towards power sharing. But, in fact, it had the footprint of the power configuration favored by the two leaders, and represented an identifiable solution to the challenges they faced in controlling their political coalitions/organizations. The agreement strived to appease Renamo with the concession on the elections of provincial governors; this would give the party and its leader greater influence in Renamo’s provincial strongholds, a long-coveted goal. However, as the agreement maintained most of the considerable powers of the Mozambican presidency, the introduction of the power-sharing mechanism did not change the unitary nature of the state with the president at its center. There is an explanation for this agreement between the two leaders. Dhlakama had initially supported a constitutional reform to reduce the powers of the presidency in the first multiparty legislature of 1994-1999. But when the party realized there was a real possibility of victory in the 1999 elections, it blocked the proposal and a strong president was kept in place.3 At the same time, the election of the mayors through the list system introduced in the agreement meant there would be tighter control of local party politics; neither Renamo nor the Frelimo leadership had been able to tame internal dissent in this arena or the push for more autonomy from central leadership by local forces. The Nyusi-Dhlakama agreement is an example of the importance of both presidential powers and political leadership for political conflict and stability in Mozambique’s post-independence history. Dhlakama’s leadership spanned four presidencies. In the late 1970s and early 1980s under the strong presidency and party leadership of Samora Machel (1975-1986), moderate voices in the party were for a long time ignored and Machel’s ideas on the need to fight and eliminate Renamo shaped the escalation of the conflict. The General Peace Agreement was signed under the presidency of Joaquim Chissano (1986-2005), a diplomat and more moderate president who favored negotiations with Renamo. After losing the 1999 elections by a margin of just 4.5%, Dhlakama claimed the election was rigged and threatened war. Chissano chose the path of negotiations despite resistance from the more radical factions of Frelimo. Dhlakama’s main demand was for Renamo to appoint provincial governors in the provinces where the party had won a majority of votes, but the two parties were unable to reach an agreement. The political situation stabilized eventually but, in the following elections, Renamo’s and Dhlakama’s electoral support waned. The conflict started up again in the second-term of Armando Guebuza’s presidency (2005-2015). Although he was a strong party leader and president, he was less inclined to any dialogue with Renamo and this helped trigger the renewal of armed conflict. For his part, Dhlakama proved he could steer Renamo and himself through every presidential strategy and respond accordingly with either compromise or conflict. This was not only important to his party but also to his leadership’s continued relevance in the Mozambican political setting. The key lesson that can be drawn from these events is that presidential powers and leadership styles mattered in the relations with Renamo and were an important driving force of conflict or compromise. Will the Nyusi-Dhlakama agreement hold? The sudden death of Dhlakama raised some doubts about the future of the agreement. However, recent developments suggest that the agreement will be endorsed by the parties involved. The National Assembly’s unanimous approval of the constitutional amendment, which will make the Nyusi-Dhlakama agreement of power sharing possible, is a landmark achievement and raises hopes of a positive outcome. But there are some challenges ahead. On Frelimo’s side, the question is if the prospects of a weaker Renamo without Dhlakama motivates radicals to renege or even challenge their leader’s deal. Renamo has recently appointed an interim leader, Ossufo Momade, a former secretary-general of this party (between 2007 and 2013), member of parliament since 1999, and a general in Renamo’s army. It remains to be seen whether he will be able to bring the party together and ensure that it is a strong interlocutor able to enforce the deals made with the Government, while remaining a relevant political and electoral force in the country. A congress is also planned to elect Renamo’s new leadership, probably before the 2019 elections. If the Nyusi-Dhlakama agreement prevails, there will be a different configuration of power in Mozambique with both a strong presidency and a rebel and sometimes disruptive opposition party that can now control executive power at the local level. How this will play out in terms of stability will also depend on whether the presidency and political leadership in the two main political parties in Mozambique are able to “meet half-way” and commit to at least minimal goals. 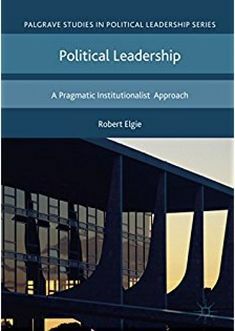 Presidential power has played an important role here as it determines the choice between solutions geared towards conflict or compromise; peace and stability or war. Whatever the scenario, it seems likely that the next elections without Dhlakama will see a different power configuration. Whether it is one that is conducive to peace or stability depends on the agency and personal traits of the “strong men” on both sides. This will tilt the balance towards conflict or peace. 2 It was argued that he was making concessions to Renamo and Dhlakama. 3 See https://www.open.ac.uk/technology/mozambique/sites/www.open.ac.uk.technology.mozambique/files/pics/d75966.pdf, page 10. Edalina Rodrigues Sanches -: Postdoctoral Researcher at Instituto de Ciências Sociais da Universidade de Lisboa & Instituto Português de Relações Internacionais da Universidade de Lisboa. This entry was posted in Africa, Mozambique and tagged Mozambique, Peace Agreement on May 28, 2018 by Robert Elgie. Perfect analysis and scenario building.